Divi RealEstate is a child theme for real estate professionals and companies. Built with Divi, this child theme uses Easy Property Listing plugin to add and display properties. 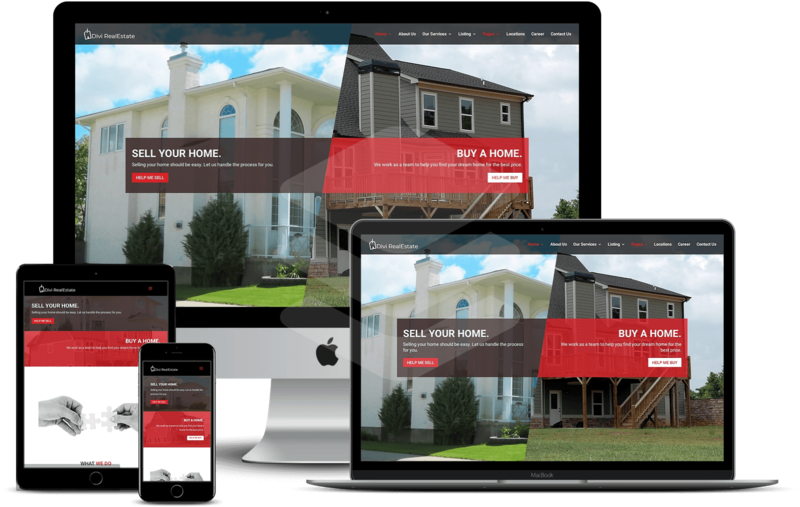 Divi Child Theme for Realtors who deals in selling, buying and managing properties. This child theme has the necessary pages required to set up a real estate listing website. It uses Divi and Easy Properly Listing with customized templates to achieve the listing layouts. Apart from Listing, there are page templates for Realtors dealing in selling, buying and maintaining properties. Already purchased the Divi RealEstate and need assistance with it? We have some frequently asked questions available listed for this. You can also send us an email using the support link.